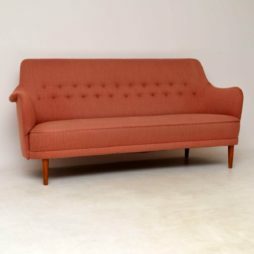 Mid-Century Furniture | Page 11 | Interior Boutiques – Antiques for sale and mid century modern furniture, french furniture, antique lighting, retro furniture and danish furniture. 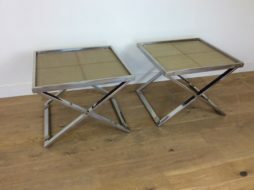 A pair of X Frame Butlers tables, thick heavy flat chrome frames with Shagreen tops. 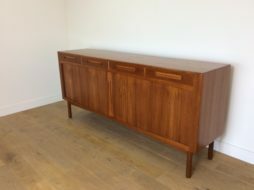 Mid Century Teak Sideboard Credenza. 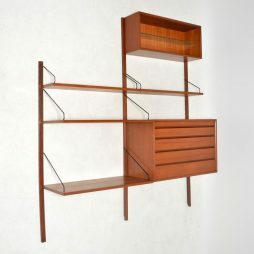 Mid Century Modern Design Sideboard Credenza, Tambour doors to reveal shelved interior below a bank of three drawers. 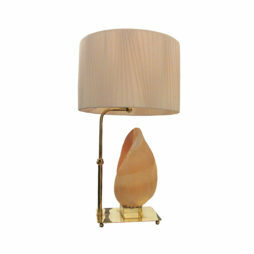 A mid century sea shell table lamp on lucite and brass base with adjustable height. 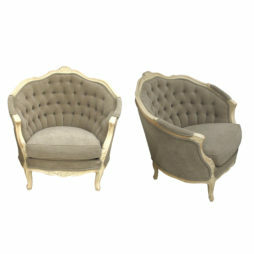 A pair of 1940’s/50’s curved capitonées French armchairs of a generous size, newly re-upholstered. 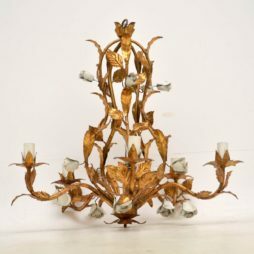 An absolutely stunning vintage chandelier in gilt metal, this was made in Italy and it dates from around the 1950-60’s. 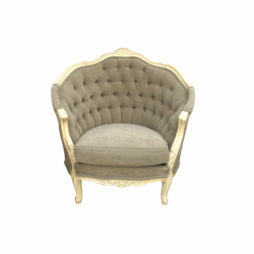 It’s of amazing quality with a beautiful floral design. 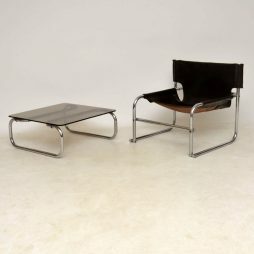 The rose buds are painted white, and the condition is excellent for its age. 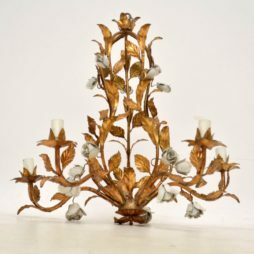 We took this down from the house it came from in working order, but it needs to be re-wired to modern standards. 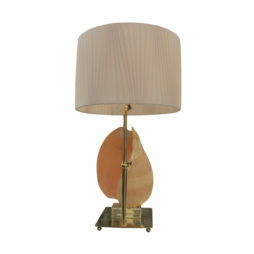 It comes with the original ceiling rosette. 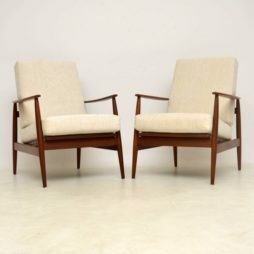 A beautiful pair of vintage armchairs in solid Walnut, these date from the 1960’s. 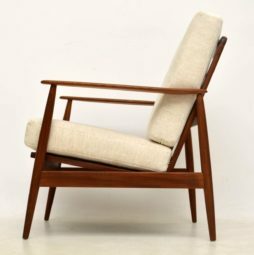 They are in the classic Scandinavian style, and they’re of great quality.The condition is superb for their age, the frames are nicely polished with lovely grain patterns. 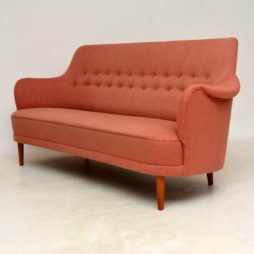 We have had the cushions newly made and upholstered in our lovely off white fabric. 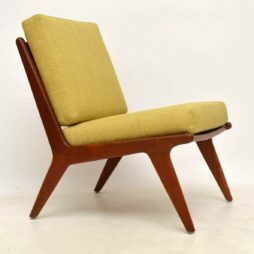 An extremely stylish vintage teak slipper chair, this was made in Denmark and dates from the 1960’s. 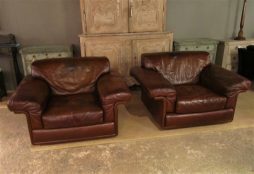 It’s of amazing quality and the condition is superb for its age, with hardly any wear to be seen. 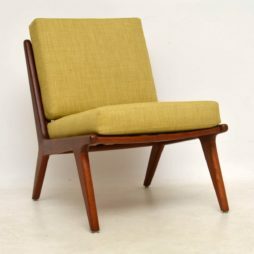 We have had the cushions newly made and upholstered in our light green fabric. 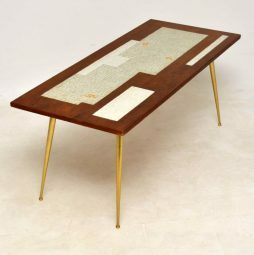 A stylish and elegant vintage coffee table dating from the 1960’s, this has a teak top inlaid with nicely coloured tiles, and sits on fantastic splayed brass legs. 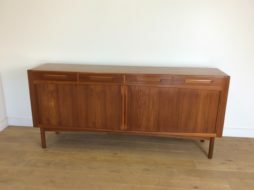 It’s in great vintage condition with just some very minor wear to the teak, and a couple of extremely minor chips to the veneer edges on the edges, these have been stained in and are barely noticeable. 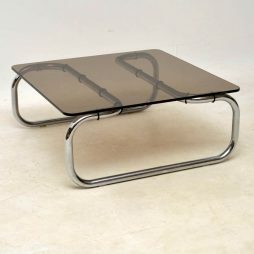 A stylish and very well made vintage coffee table in tubular steel and glass, this was designed by Rodney Kinsman and was made by OMK in the 1960’s. 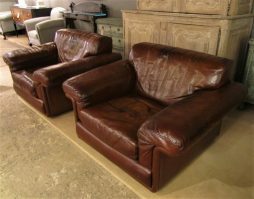 It’s in great original condition, with only some extremely minor surface wear here and there. 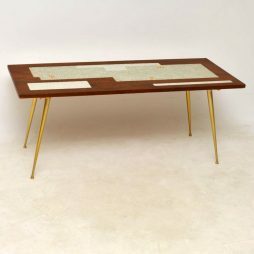 The thick smoked glass top is free from any chips or cracks. 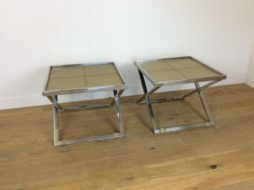 We also have three matching Rodney Kinsman T1 armchairs that came with this, we are selling them as a pair and a single, one is seen displayed next to the table in the images, the chairs are available separately and can be seen listed under our other items for sale.